What are the best 4 person tents to buy? Comparing tents based on how many persons the manufacture recommends the tent can sleep, is quite difficult. As you can see below, the size of a so called "4 man tent can vary enormously." Some of the tents on this page could sleep 5 at a push, with others been barely large enough to sleep a couple. Skip straight to the best of the best 4 person tents page section. 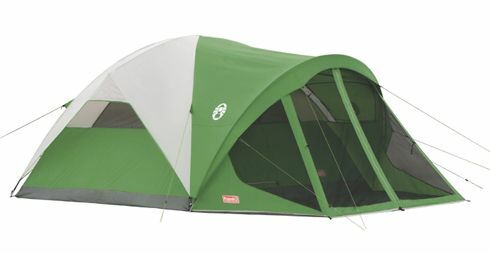 Five of the tents get good ratings and have more than 5 reviews. 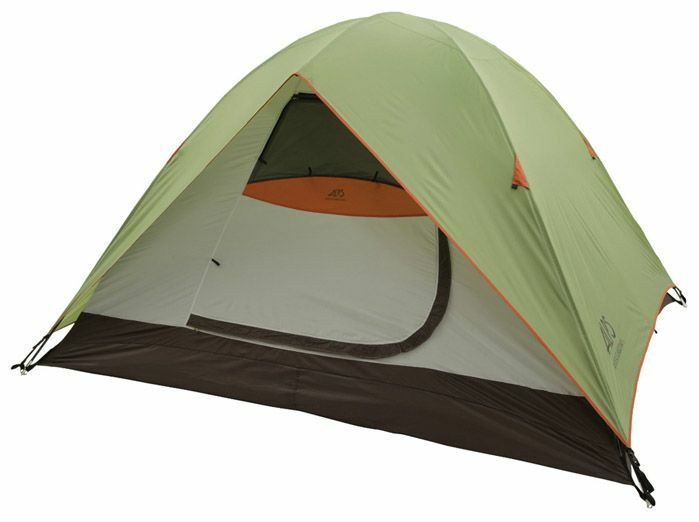 The smallest is made by Kelty the Trail Ridge 4 it is a very popular tent. Coleman's Instant 4 "pictured below" is only a tiny bit bigger. Both are on the small side for two parents with two teenagers. 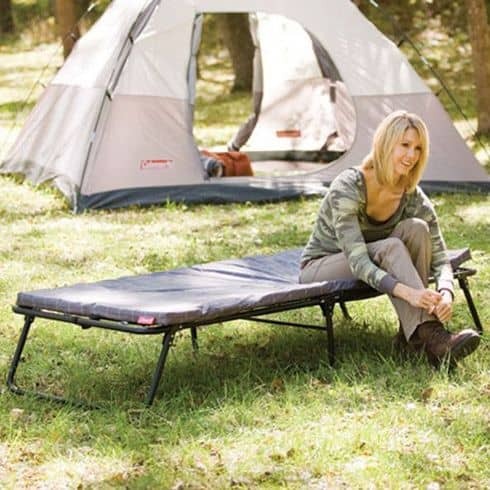 Coleman's Instant tent is hugely popular, sets up in just a few minutes. The largest is the Evanston 4 with 80 sq. ft. it will easily sleep 4. As with many tents from Coleman the price is attractive, over $150 info_outline it makes a good choice for those wanting to try camping for the first time. The Sundome 4 is smaller than the Evanston. 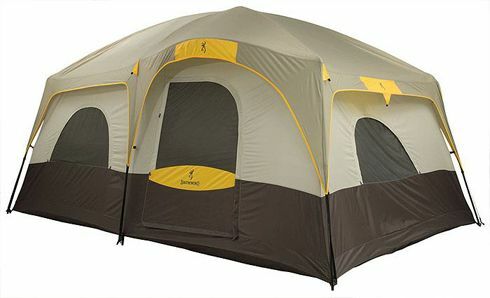 With the Sundome model having more than 2000 reviews, to say it is a popular tent is an understatement. The MSRP of $99.99 is not expensive, subtract the current discount of around $48 info_outline and it is a bargain for small families. Two of the 5 are small cabin tents. Both are made by manufactures with a history of focusing on quality. 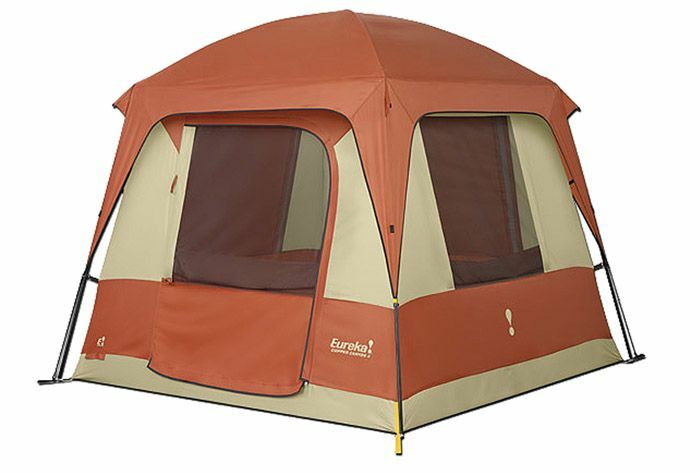 Eureka's Copper Canyon model is known worldwide, with 7' of headroom this tent is a nice roomy tent for small families, with a net price of around $170 info_outline the Copper Canyon 4 will give you many years of trouble free camping. 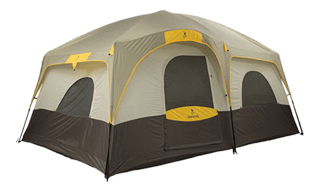 Kodiak's Canvas Flex Bow Deluxe 4 is a deluxe tent in all sense of the word. It is a little bigger than the Copper Canyon 4 but costs considerably more. Made from canvas the Canvas Flex Bow Deluxe 4 can be used all year round "even in the snow" and still keep a degree of warmth inside. With both of these cabin tents it is worth taking a look at the larger 6 person versions both of which offer, a lot more space and headroom for only a few extra dollars. 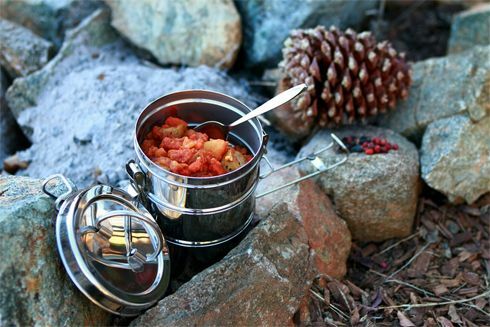 Eureka's Copper Canyon 4 has more than 100 reviews, which are for the most part excellent. Of the others, one of the leading suppliers of quality tents today Alps makes the Lynx 4 described as a "perfect 3 season tent" by some. 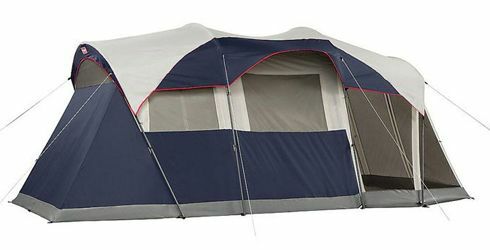 It is hard to find anything wrong with it, the only factor is "headroom" and sleeping area, both could be considered a tad small, when compared with the larger tents on this page. The Bastion 4 Expedition Tent is true 4 season tent able to withstand the harshest conditions. 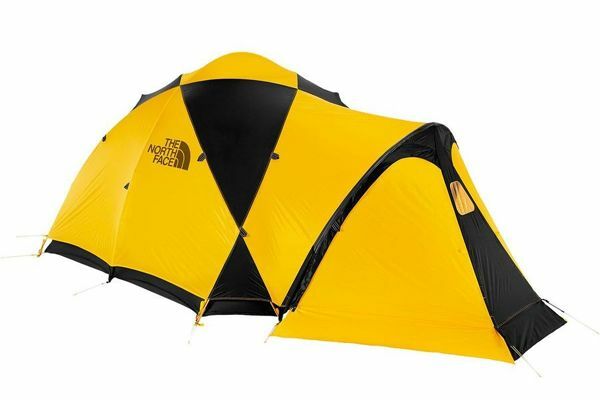 The North Face makes the Bastion 4, it is considered to be a true Expedition Tent It can be used year round in any of the four seasons. As you can see in the "picture above" it comes with a large front vestibule area. Another smaller one can be found in the rear. 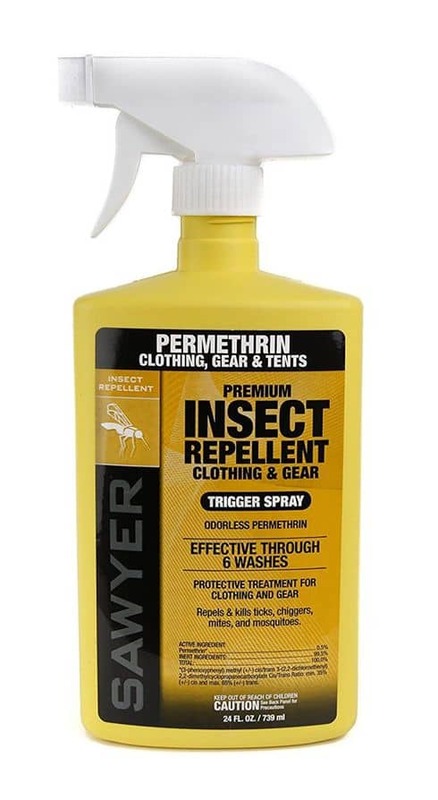 With its lifetime guarantee and campers describing it as a "world class tent" and "bullet proof" on the The North Face website. One would have to ask what is the price? It is the most expensive of all the tents on this page; quality does come at a price. It is ideal if you are looking for a tent that will allow you to camp during the winter months in the snow. 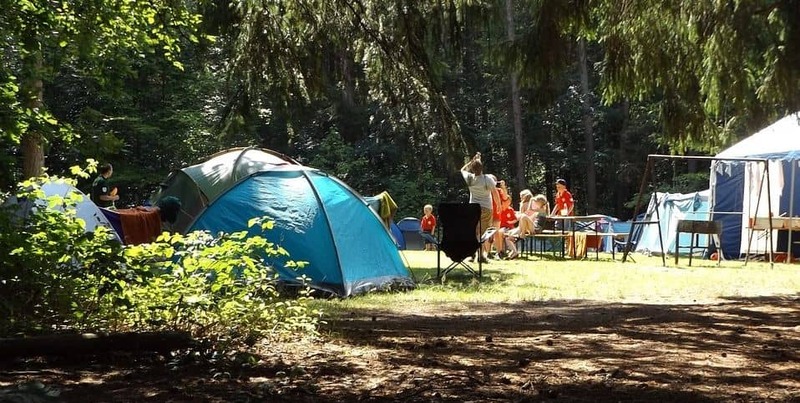 Seventeen of the tents were discounted more than 25% on Apr 19th, 2019. Kelty and Coleman both have two of the tents. The Shiro 4 "pictured below" is the most expensive of all 4-man tents. It has no reviews yet, so it is difficult to gage just how good it is. On all other counts it looks good. 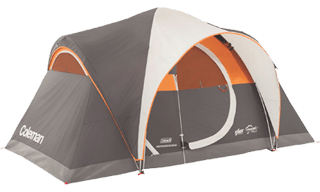 The other tent made by Kelty is the Trail Ridge 4 With Footprint small in size and price, it's a bargain at the current price for very small families. Kelty's Shiro 4 makes an ideal tent for cyclists needing a place to put the bicycle. Three of the tents can be called large within the context of 4 person tents. The two largest both have 100 sq. ft. of sleeping area, they are actually larger than half the 6 person tents This clearly demonstrates the problem with choosing a tent based on the number of persons the manufacture decides the tent is suitable for. The 2 for 1 All Day Shelter "pictured below" is one of Coleman's newer models. 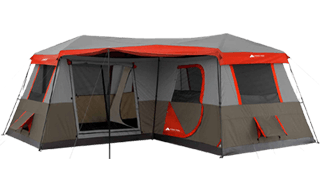 It is spacious with a front porch and like most of Coleman's tents quick and easy to setup. 7'2" of headroom it's ideal for those longer trips. 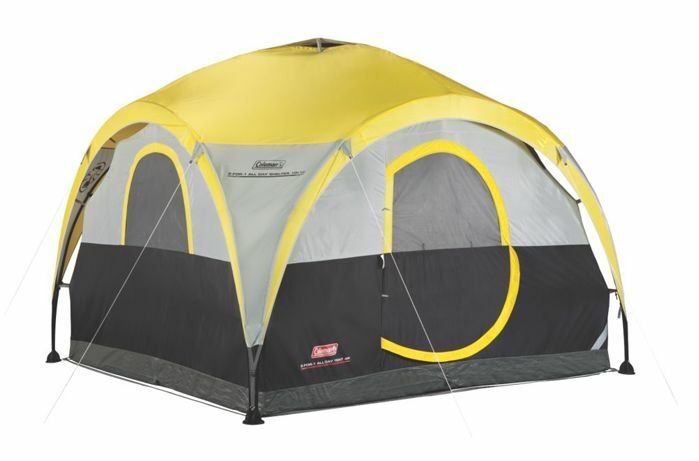 Coleman's 2 For 1 All Day Shelter 4 is a huge 4 person tent with 100 sq. ft. and 7' 2" of headroom. Coleman's Evanston 4 Screened is the next largest with 80 sq. ft. 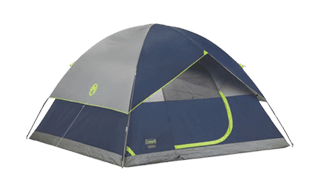 Priced to sell at a little over $150 info_outline and with an excellent overall score of 88% and more than 150 reviews, this tent is great value for small families looking for a little extra space without spending a fortune. One tent that jumps out is the Meramac 4 tent made by Alps Mountaineering "pictured below". It is often to be found just around the $100 mark. 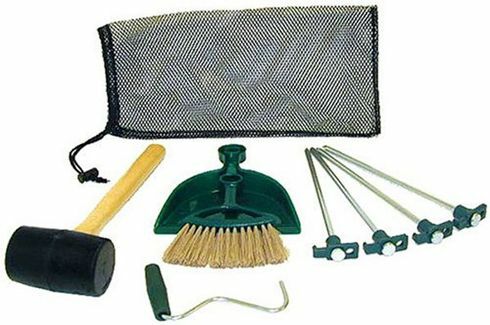 With an excellent overall score of 90% it is a great buy when deeply discounted. Alps Mountaineering Meramac 4 It continues to remain popular year after year. Coleman dominates the best selling 4-man tents. 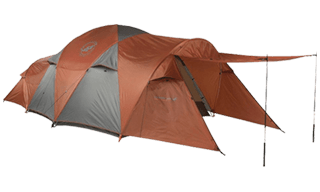 Apart from these Kelty's Trail Ridge 4 is a very popular tent with an excellent score of 88% Quite often the best-selling tents are those with a lower price point, the Trail Ridge 4 seen in the video below is not a cheap tent it sells around the $200 mark after discounts. With plenty of headroom and more than enough room for three, this tent is ideal for very small families looking for a tent that will last many years. 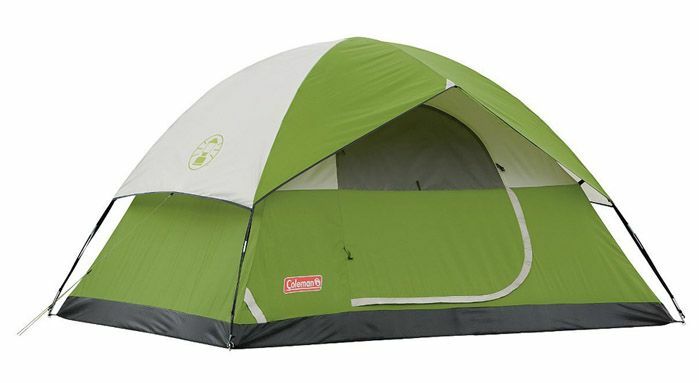 Coleman's Sundome model is one of their most popular budget tents with close on 2000 reviews. 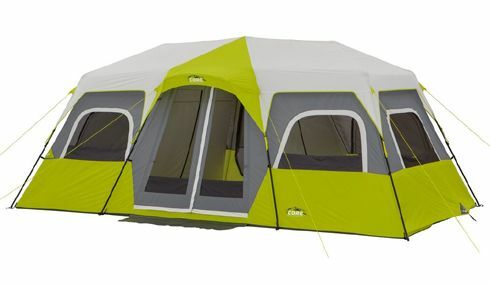 The Sundome 4 and the Instant 4 both have hundreds of reviews and have an excellent overall score, both retail at a price that is on the low end for four person tents, unfortunately neither are particularly large, at the price though, they both represent good value for money. The Montana 4 is not often discounted. When it is it's worth taking a look at. Lastly the Hooligan 4 is a popular tent with more than 500 reviews, it is probably better suited to families looking for a lightweight tent that can be carried on a bicycle. Weighing 13lb makes it a little heavy for hiking, if you are looking for something lighter there is another page devoted to lightweight tents ideal for hiking. It is always difficult to pinpoint one single tent and call it "the best tent" Coleman's Evanston 4 Screened can not be faulted, its roomy gets good reviews and is easy to set up. One thing that should be considered is the headroom. It is 5' 11" at the highest point in the center, as the tent can often be found right around the $150 mark one can forgive having to stoop a little. The Trail Ridge 4 "in the video above" also has just enough headroom with 5'11" at the highest point. Campers have repeatedly rated this tent highly. It has an overall score of 88% which is decent score on this website. 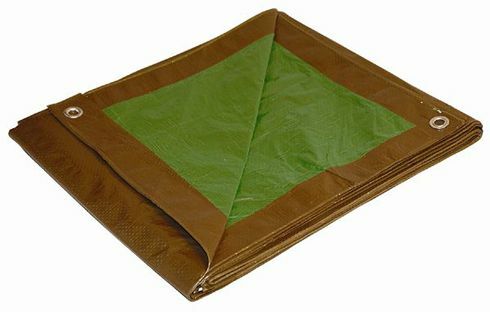 Kelty builds good solid tents, that for the most part get excellent reviews. Though not the cheapest 4 person tent available today $169.99 info_outline For a 3 season tent of this size and quality it represents excellent value. It's worth noting the Trail Ridge 4 is a tad small for a group of four.